Two grills of the front bumper aero kit. Easy installation and excellent aesthetic result if you do not prefer nickel. 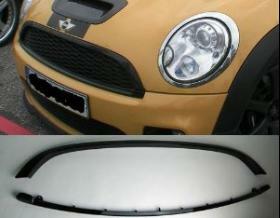 Inform us if you have MINI Cooper / Cooper S.